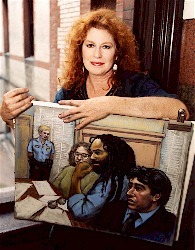 Susan Schary has not only portrayed the role of a Courtroom Artist in the Jonathan Demme's film, "Philadelphia", starring Tom Hanks and Denzel Washington, she lives it. Experience the drama by Schary's rare acumen of capturing, with profound compassion and sensitive understanding, the atmosphere of the criminal trial. These works of art are regularly seen on ABC, NBC, CBS, FOX-TV and CNN, and are frequently reproduced in many major newspapers. Ms. Schary is listed in the "World Who's Who of Women, Directory of Distinguished Americans, Who's Who in American Art, World Book of Honor", to mention only a few of the numerous biographical anthologies in which she appears. Her works have appeared in numerous exhibitions and shows from the United States to Italy. All who are privileged to own a work of art by Susan Schary are spiritually uplifted every time one looks upon the image. 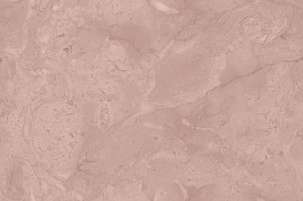 One may escape reality momentarily and immerse oneself into a haunting world of beauty, love of life and joy of color. Clients may also enjoy the benefit of making a wise investment. We invite you to review some of the notable magazine and newspaper articles written about Susan Schary. If you were not familiar with Susan Schary before today, you can learn more about the artist herself in short and all to modest biographical sketch, "About Susan". Most certainly, we hope you take the time to tour and enjoy all of the Galleries that can be found within this site and which contain some of the wonderful examples of her works. Be sure to visit the Studio News area to learn about Studio Announcements and Studio Press Releases regarding upcoming and recent events. If you would like to contact Susan Schary, Susan Schary Studio or place an order please see the Information Desk for detailed information.